There are several vital problems in the field of water supply and treatment in the town of Sortavala and the project aimes to solve them. 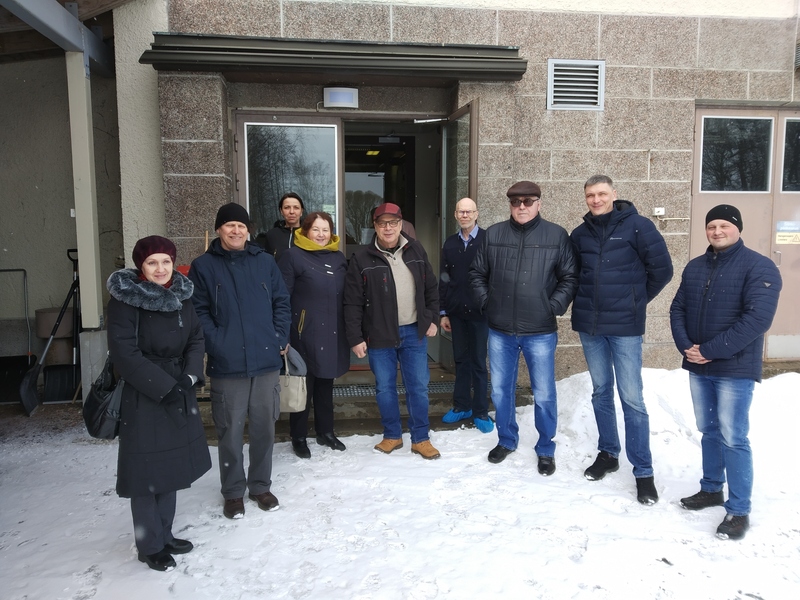 The project activities in the field of water supply and sanitation should significantly improve the ecological situation in the city of Sortavala, and therefore, improve the quality of life of residents and visitors. The proximity of the border with the European Union and the possibility of attraction of visitors to the territory of Sortavala district are creating new opportunities for the development of international tourism in the Northern Ladoga area. There are two main components of this large investment project: a) drinking water quality improvement and b) waste water treatment improvement. 1. The factors restraining the development of international ecological tourism will be eliminated when the quality of drinking water will correspond to both Russian and international standards. 2. The negative impact of the discharge of untreated sewage on the quality of natural water in transboundary water bodies (Lake Ladoga) will be eliminated so that the Lake water quality meets international standards and complied with HELCOM regulations. 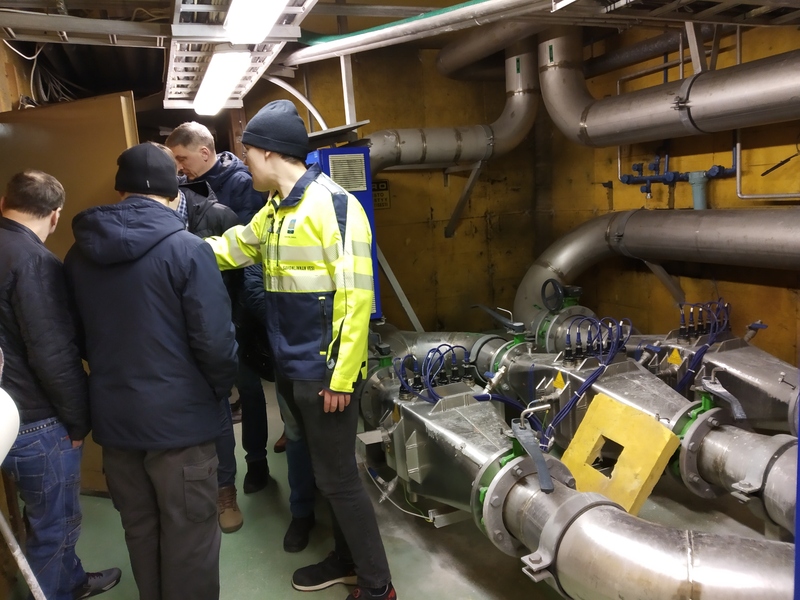 KA6000 A study trip to water supply and treatment facilities in Imatra and Savonlinna. 1. Two waste water outlets (N8 and N10) are located in the town centre were built in the beginning of the 20th century and since those times the wastewater is discharged through these outlets directly to Ladoga water and creates the hazardous sanitary and epidemiological situation in the city. It might also become the main reason for pollution of the whole littoral area of Ladoga. Total amount of discharged wastewater is about 920 m3 per day. Taking into account urban land improvement and fast development of private houses’ construction, the volume of wastewater will increase further. 2. Today the quality of tap water in the centralized water supply system of Sortavala city does not meet many of the sanitary requirements adopted in Russia. The foremost reason for that is the absence of water purification plants in the existing water treatment scheme. So, the water does not comply with the sanitary standards due to the absence of treatment. 3. 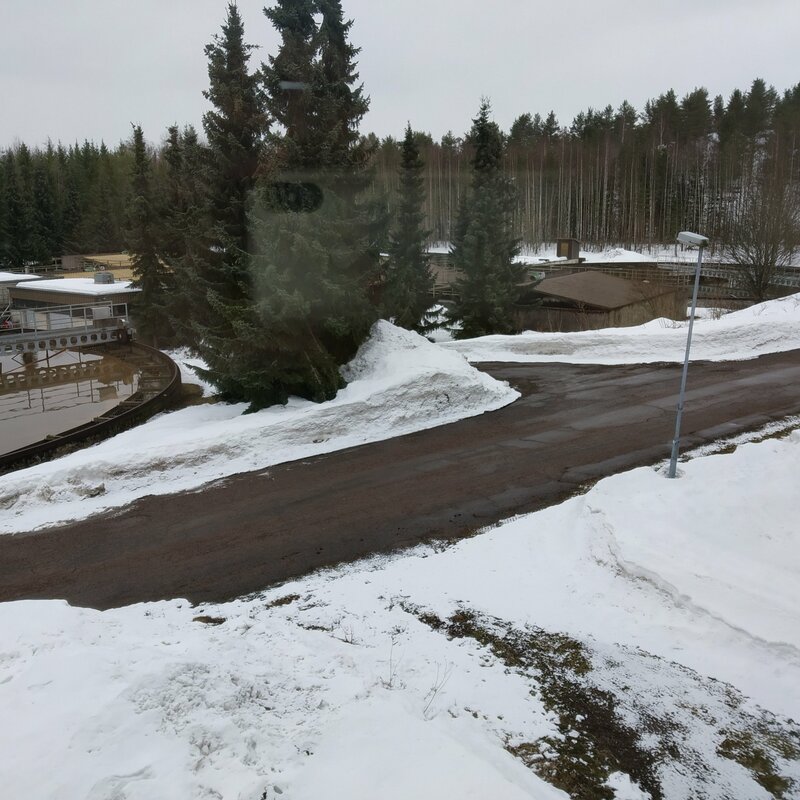 Water withdrawal header and the pumping stations were built in a short time in the conditions of a severe lack of water supplied to the city due to the drop in the water level in Lake Helmijärvi in 1983 year. Due to this fact the water intake is located very close to the shore (75 m.) and ate the depth of only 3,5 m. The quality of surface water pumped to the water supply system is quite unstable because of many external factors, such as: water quality of Tohma river inflowing to Ladoga, wind direction, air and water temperature, the Lake water level, etc. The implementation of the proposed project activities in the field of water supply and sanitation should significantly improve the ecological situation in the city of Sortavala, and therefore, improve the quality of life of residents and visitors. The proximity of the border with the European Union and the possibility of attraction of visitors to the territory of Sortavala district are creating new opportunities for the development of international tourism in the Northern Ladoga area. Today Finnish travel agencies in cooperation with Russian companies are to develop new products of natural (ecological) tourism. They are gaining increasing interest at international level. European tourists visiting North Karelia have the opportunity to visit cultural and natural monuments of Northern Ladoga also. Such popular destinations as Valaam Monastery, Ruskeala marble canyon, «KallivoPark» ski centre located near Sortavala town attracting more and more visitors finding accommodation and meal in Sortavala. This is why high-quality drinking water and cleaner water of Ladoga lake (Lappajarvi bay) will have the increasing importance for satisfying the needs of foreign (mostly Finnish) and Russian tourists as well as residents of Sortavala district. Better treatment of water discharged into Lake Ladoga will have positive impact on the state of the Lake Ladoga and thus in the Baltic Sea basin. The Overall Objective of the project is Improvement of physical living and working environment (for local citizens, foreign and domestic visitors of Sortavala district). 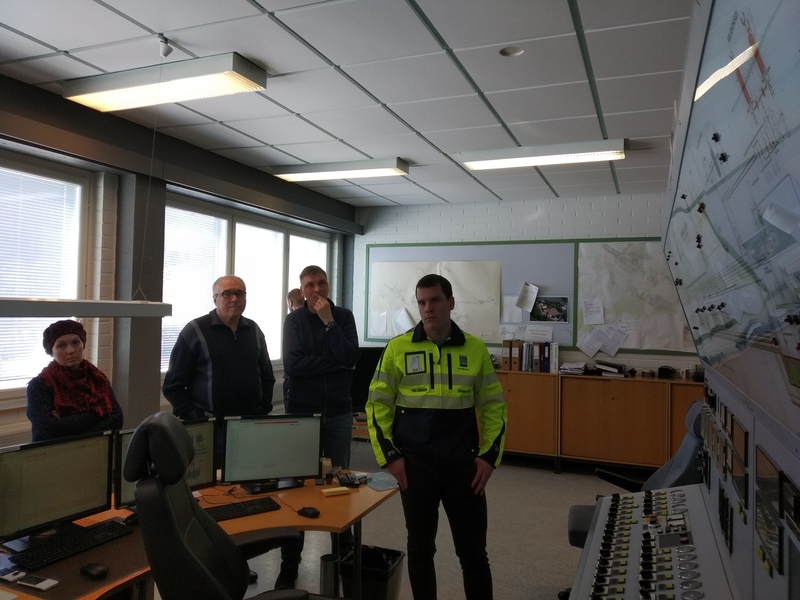 There are two main components of this large investment project: a) drinking water quality improvement and b) waste water treatment improvement , thus the Specific Objective is connected to both of the components - Drinking water and waste water treatment capabilities in Sortavala district have improved. The expected change the project will make to the current situation. The target groups and beneficiaries of the project. Target groups – employees of municipal and private utility companies from Northern Ladoga region, regional and local authorities responsible for water supply and sanitation management and control (about 30 persons). Final beneficiaries - citizens and guests of Sortavala town and district, foreign (mainly Finnish) and domestic tourists. 2. Improved tap-water quality used by local citizens, foreign and domestic visitors of Sortavala district. 3. Reduced pollution of the Ladoga Lake and consequently Baltic Sea waters. 4. Visibility and promotion of project activities and results are achieved. WP1. Capacity building actions aimed at improvement of professional competence of engineering and managerial staff of Karelian municipal utility companies and municipal administrative bodies. WP2. Constructing new water supply system with high quality drinking water in Sortavala. WP3. Eliminating of discharge of untreated wastewater. WP4. Project visibility and project results promotion actions. Karelvodokanal Ltd., the only company managing and maintaining all water supply and sanitation facilities of Sortavala town. The main activities of the company are: intake, purification and distribution of water, waste water treatment and disposal of residues (sludge). for identifying and introduction of effective solutions in environment protection actions. It has expertise and experience in protection of water resources in the Baltic Sea basin. SYKE experts are well known in Finland and internationally as responsible and creative environmental professionals.